Properties in Chadurie average 4.8 out of 5 stars. Property 31: Beautifully converted barn In peaceful and stunning location with private pool. Property 33: House in a nice restored loft. At the heart of the countryside. Property 37: Private pool and secluded garden. Family friendly. Jardin Cottage at Chez Maurit, 2 en-suite bedrooms, TENNIS court, superb views. Property 38: Jardin Cottage at Chez Maurit, 2 en-suite bedrooms, TENNIS court, superb views. Moyen Cottage at Chez Maurit, 2 bedrooms, TENNIS court, superb views. Property 39: Moyen Cottage at Chez Maurit, 2 bedrooms, TENNIS court, superb views. 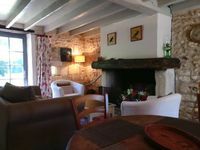 Bas Cottage at Chez Maurit, 2 bedrooms, TENNIS court, superb views. 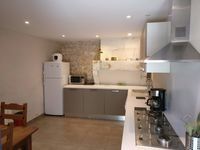 Property 40: Bas Cottage at Chez Maurit, 2 bedrooms, TENNIS court, superb views. Property 42: Secluded Luxury House. Private Pool. Between Cognac, Angouleme, Royan. Bordeaux.